You have a non SD specific upper plenum, your map sensor must be located elsewhere. It's a black square sensor with a green colored metripack connector going into it and a vac hose. TPS where is it located? I will try to locate the map sensor, is in on the Pentium or intake? Still don't know what a good idle is supposed to be in neutral? I saw in one of the pix above a loose wire/connector that looked as if it maybe go to the MAP sensor, hard to tell......MAP sensor is about 3" long with a mounting tab on each end, there maybe variations on that casting though....about 3/8 thick and 1.5" wide. "tube A used to go to a fume recovery system valve, doubt you have one, it's under full vac all the time on my car/installs....so cap it off"
OK I will cap it off. I note that on the right/pass side of the TB, you supposed to have two vac source tubes coming out....one is larger and up top about 7/16 dia, the other is down lower and 3/8 diameter, the smaller one went to a PCV valve.....the larger one went to a valve cover. 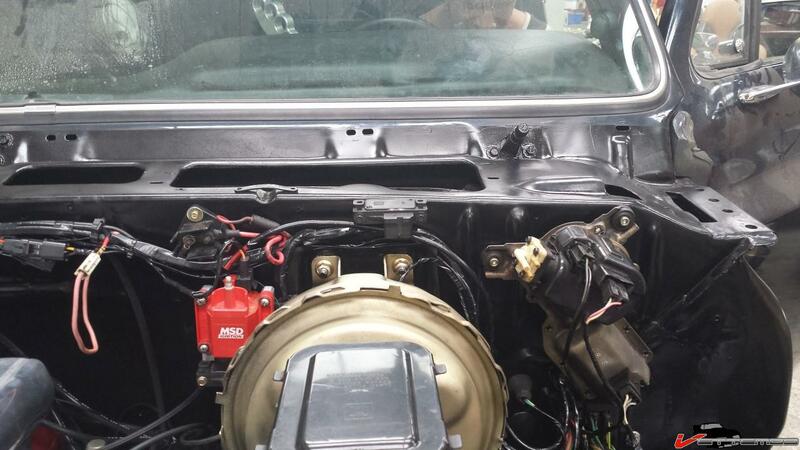 I have those filled in (see picture)with the PCV connected on the left side intake, there is a port for it. Last edited by BangkokDean; 03-18-2014 at 01:13 PM.. Your second picture above- the square connector is the IAC- idle air control and the flat 3 wire connector is the TPS. Make sure the internal passages around the IAC are clear and the valve on the end of it moves freely with the commands from the ECM. Make sure the internal passages around the IAC are clear and the valve on the end of it moves freely with the commands from the ECM. OK, I can remove it and see if it moves freely but how can I tell that the ECM command moves it? I still don't know what the MAP sensor looks like or where it is located? Last edited by BangkokDean; 03-19-2014 at 01:40 AM.. The TPS is not a drive type device- it is the position sensor for the ECM. It gets a 5v reference from the ECM, and in turn sends a portion of that 5v back to the ECM to tell it how far the gas pedal is pushed. OK it is an old sensor located in the bottom rear of the Pentium. It has a green connector from the wire loom. Mine does not look like that one mine does not have a vacuum connector hose connected I guess my MAP gets vacuum directly from the Pentium so there is no hose connected to it, but it is difficult to see it. 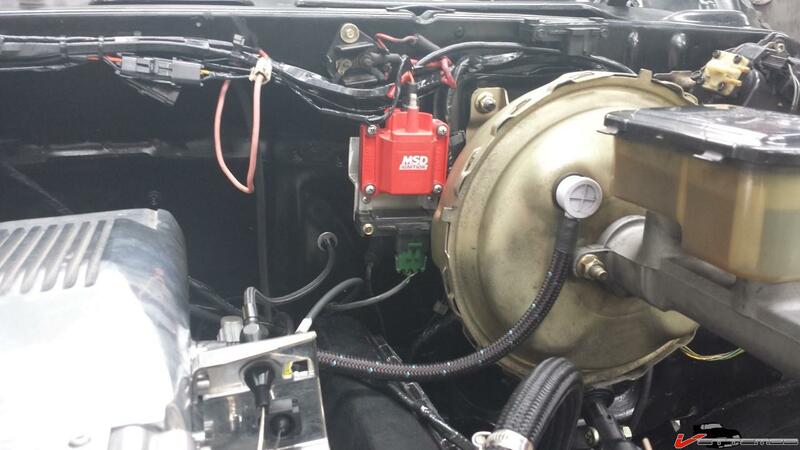 Summit shows a different type MAP sensor for a 88-89 f body. Now will this sensor cause the motor to die and easily restart with both of my systems (gas or LPG) what is the effect if it is not working? I did cap the vacuum port (A) but the engine still dies even on the highway at 60 mph. It dies mostly when slowing down but the highway bit is scary. So until I find the problem I wont be driving the truck. I did order a new Dizzy from JEGS, just in case the old dizzy is the problem. Do you think I should also order a new MAP sensor also and which one? Last edited by BangkokDean; 03-19-2014 at 11:36 AM.. Your plenum is not set up for a bolt on map sensor, the pass side rear there are ports, one of them should connect to the MAP, the other is for the VRFPR and if there's a 3rd it's for the accy vacuum. The green single wire is from your EGR. Without the MAP sensor you will get an instant CEL, the engine will run but rough and crappy and may indeed die @ idle. Is your CEL on? Did you ever try to pull the codes after running the engine?? OK, found it now that I know what it looks like and where to look. I cant see the color of the connector due to the difficult location. Please keep in mind that the motor runs just fine with both systems but dies all of a sudden and at all speeds. It will start right up and will seam fine for a while then it will stall again. As for pulling codes how do you do that? My gauges are Dakota digital. Last edited by BangkokDean; 03-19-2014 at 12:10 PM..